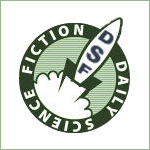 Short Fiction Monday: Our feature exploring free and inexpensive short fiction available on the internet. Here are a few stories we’ve read that we want to share with readers. 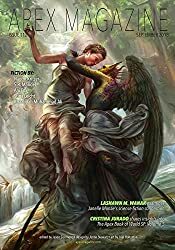 “Field Biology of the Wee Fairies” by Naomi Kritzer (2018, free at Apex Magazine, $2.99 Kindle magazine issue)When Amelia turns fourteen, everyone assures her that she’ll catch her fairy soon. Almost every girl catches a fairy, and the fairy will give you a gift if you promise to let her go. The gift is always something like “beauty or charm or perfect hair or something else that made boys notice you.” What no one around Amelia realizes is that she doesn’t want to catch a fairy. Amelia has no interest in becoming more beautiful, through fairy magic or otherwise; what she really wants is for her science teacher, Mr. Crawford, to let girls join the high school science club. (It’s 1962, so no one is forcing Mr. Crawford to treat girls equally). Maybe he’ll relent if she wins the upcoming District Science fair with her mouse behavioral study? So when Amelia sees a lovely little turquoise-clad fairy hovering in front of her face, she just ignores the fairy … until it occurs to Amanda that there might be other, more scientific reasons to catch a fairy. She wants to capture and examine the fairy without letting it touch her and possibly work some unwanted beautification on her. And those glass jars with perforated lids that Amanda uses for the mice in her behavioral study could be just the thing! “Terrain” is a very lightly-steampunk story filled with historically-accurate details about life in Wyoming during the days of railroad expansion and the Pony Express. A diverse group of social outcasts have gradually built a home together on a small homestead on the outskirts of River Pass, where each grows vegetables or performs maintenance on steam-driven “Dogs,” insectile all-terrain contraptions that allow riders to take messages and parcels to places that the Pony Express riders can’t access. Each of the members of this little group has a reason to fear and mistrust both strangers and the townspeople, and the uneasy peace between this homestead and the town of River Pass is broken when a representative from Union Pacific comes through, looking for landowners who are willing to sell their acreage. Elijah, the only one of them who can legally own land, turns down the UP’s offer, jeopardizing River Pass’ chances at the wealth and goods a railway station would bring. The sun sets in bands of red and gold, and one of turquoise just ahead of the night; sunrise is cool in summer and sharp in winter, like ice cracking; and the horizon’s so unbroken that weather isn’t a surprise—you see clouds well ahead of the rain. “Terrain” is a lovely story, with nuanced, poetic descriptions of the land and the people who banded together: quiet, kind Elijah himself; Faye and her twin brother Frank, Shoshone adults who experienced the horrors of a forced-conversion school as children; Maria, who very nearly works magic with the soil; Fa Liang, who crafted the Dogs; and Joseph, a freedman and blacksmith. Some of their characteristics could have been more thoroughly plumbed, but overall it’s easy to see why these people came together and are willing to fight for one another. 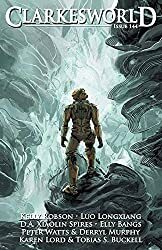 Valentine fills the text with anger and resentment against the faceless groups and specific people who aren’t content to let the homestead and its residents be, and does an excellent job of placing this story in a specific geographical location and historical context. Zhang Lei is a former high-profile player in the Luna hockey league. He committed a crime that resulted in a “disable button” being added to his online profile, visible to anyone that sees him, labeling him as a killer. This virtual disable button can be triggered by anyone who can see it, causing Zhang Lei to lose consciousness for several minutes. When life on Luna became untenable for Zhang Lei, he bolted for Earth. Now he’s in hiding in a remote Chinese village, Paizuo, while Marta, a semi-friendly social worker, tries to convince an Earth tribunal to revoke his punishment as overly harsh. Time drags for Zhang Lei in Paizuo, with no friends and little to do besides work on his artistic hobby. But Marta tells him that three teams of Lunite brawlers are scouting around on Earth, slowly tracking him down, and intent on finishing him off. 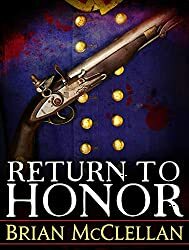 Return to Honor is one of several novellas in Brian McClellan’s POWDER MAGE trilogy. I haven’t read the POWDER MAGE novels yet, but I have read many of the short stories and novellas. I like McClellan’s world. In this story, which happens after the events of the first book, Promise of Blood, Captain Vlora, a powder mage, is trying to redeem herself after betraying someone. Her actions have caused her to be ostracized by her peers and she’s feeling pretty low. Her current assignment is to track down a traitor and recover the documents he stole. Being extremely unpopular, she assumes that nobody will be willing to help her, but then she finds an unlikely partner. Bill, my writers group and I rated “Insights” somewhere between “poor” and “incomprehensible.” Other than, maybe,a warning about paying attention to your environment when you’re hiking (or a gratuitous slam at wives) we could not see the point. Because Reed is so established, we wondered if the word count limit proved an obstacle. I just realized Bill’s 2.5 star rating of “Insights” went missing somewhere along the way while I was editing, oops. Fixed! I figured the rating was around there from context. 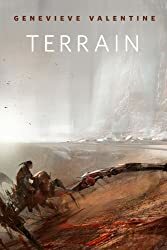 I just read “Terrain.” Very melancholy and beautiful.